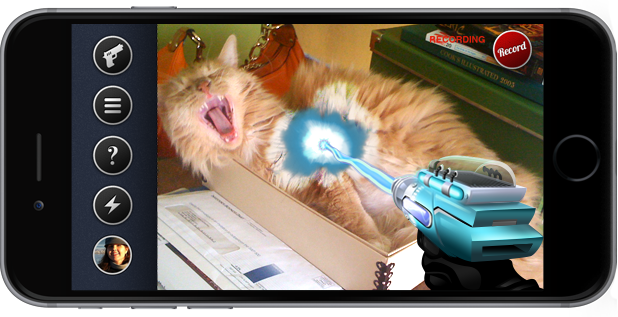 This is the world's most advanced augmented-reality “ray” gun movie app! No other movie making FX app gives you the ability to see the shot while you are filming! Zap your cat, zap your dog, zap the aliens on your TV!